Marble Madness - Cheats - SMS Power! 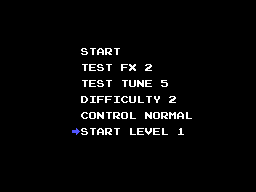 Select TEST FX 2 and TEST TUNE 5 on the options screen. The START LEVEL option may now be used to choose a new starting level.